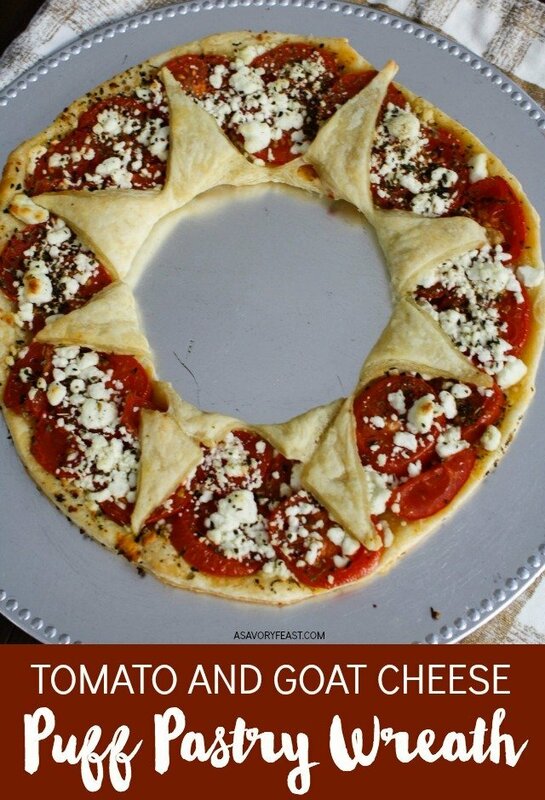 This appetizer is so festive and fun for your holiday parties this Christmas season! 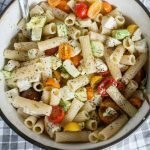 I topped it with some of my favorite flavors include tomatoes, goat cheese, and Italian spices. 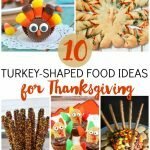 I’ve made it easy for you to create this dish for your party by including step-by-step picture instructions so that you can visualize how to cut and shape this wreath. 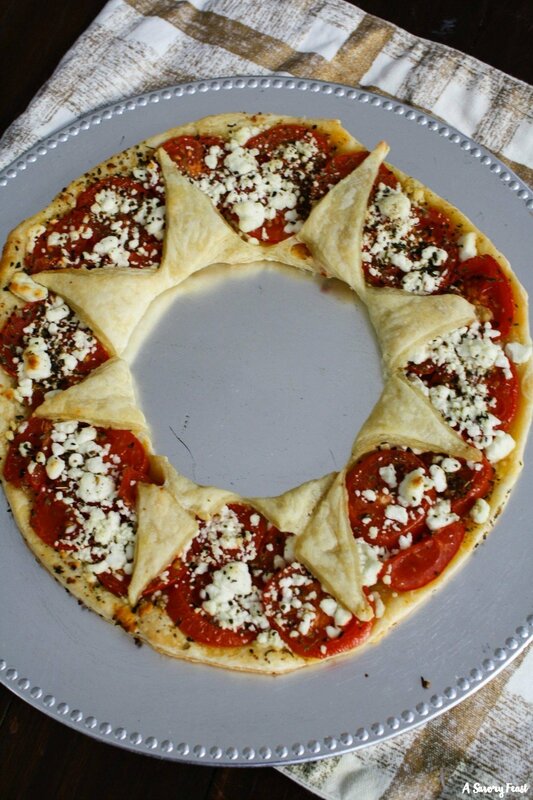 Want more puff pastry wreath ideas? You can mix things up with your favorite toppings. This Spinach Artichoke Puff Pastry Wreath from Yummy Mummy Kitchen looks delicious! This one from Healthy Happy Mama has chicken and cranberry sauce, too. It may look impressive, but this wreath is actually so easy to make and it takes less than 15 minutes to assemble. 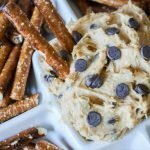 Your guests are sure to love this appetizer! Step-by-Step Picture Instructions to Create this Puff Pastry Wreath! Scroll to the bottom to get the printable recipe card with ingredients and instructions. These picture instructions are to help you visualize and create this wreath. Follow the instructions on the box of puff pastry to thaw out one sheet (usually the box comes with two sheets, so be sure to just remove one from the box so that you can save the other sheet for another recipe). Roll out the dough to about 10 1/2 inches. Find a bowl or dinner plate that is about 10 1/2 inches round. 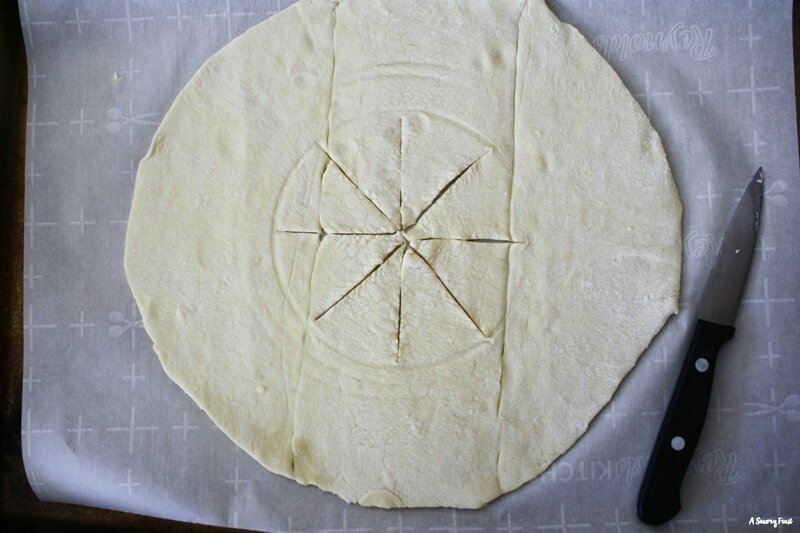 Use it as a template to trace and cut a circle out of your puff pastry. Next, find a bowl or cup that is about 4 inches round. Place it in the middle of the circle and gently press down. DON’T cut all the way through! Start at the top of your smaller circle and cut a vertical line. Next, cut a horizontal line through your small circle. Do two more cuts so that you end up with 8 equal triangles. Now you are going to add the tomato and goat cheese filling. Place your tomato slices in a circle around the puff pastry, leaving a small border at the outer edge of the puff pastry. Drizzle with olive oil and sprinkle with goat cheese and seasonings. Finally, grab the end of each triangle and gently bring it over the tomato layer. Press the top of the triangle into your border so that it stays. Repeat for all the triangles and then you are ready to bake! 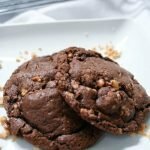 Keep reading for the printable recipe with ingredient amounts and baking time. Preheat oven to 425 F. Place a sheet of parchment paper on the counter. See the pictures above to help you visualize this part! Lay the sheet of puff pastry on the parchment paper. Roll out to about 10 1/2 inches wide. 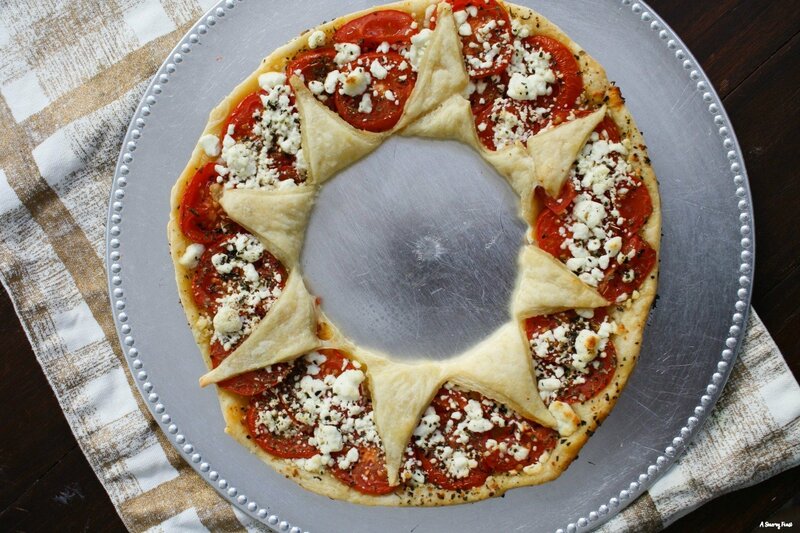 Use a 10 1/2 inch bowl or dinner plate as a template to trace and cut a large circle out of the puff pastry. Discard the excess. 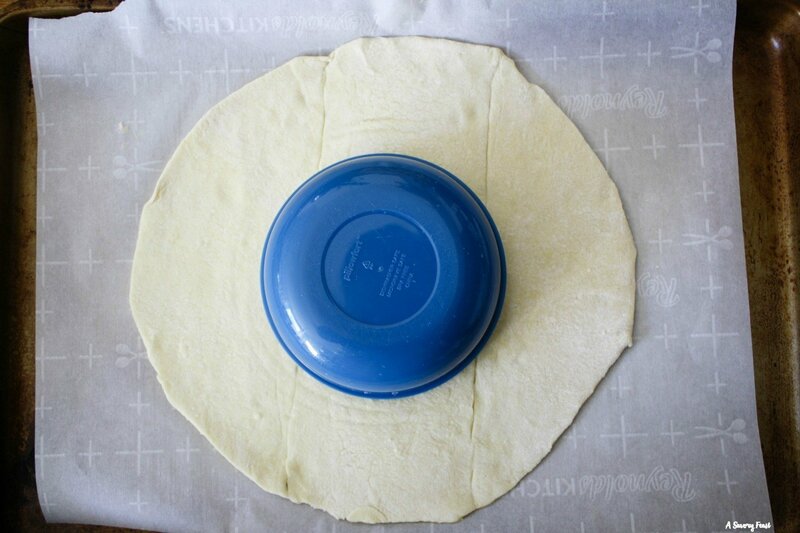 Use a 4-inch bowl or cup to gently press a circle in the middle of your large circle of puff pastry. Don't cut all the way through! Cut a horizontal line across the smaller circle, and then a vertical line. Make two more cuts across the circle so that you have 8 equal triangles. Look at the picture above to help you understand this part! 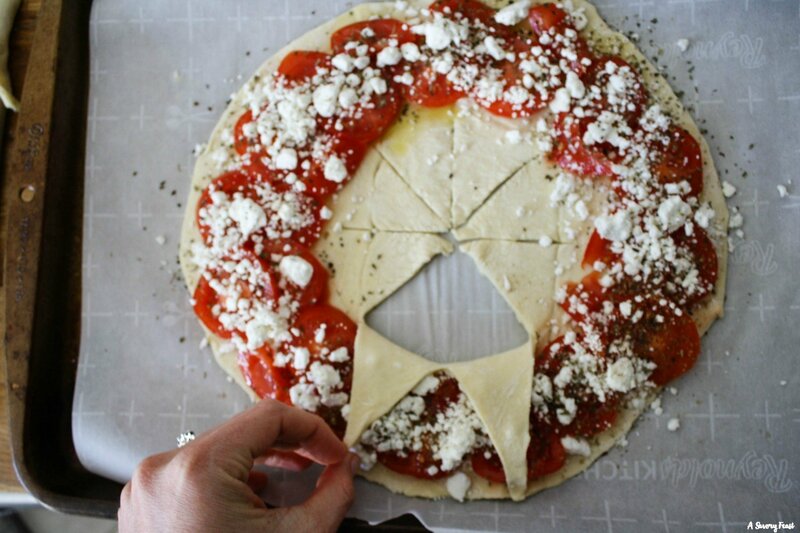 Lay the tomato slices on the outer ring of the puff pastry, leaving a 1/2-inch border on the outer edge. Drizzle with olive oil. Sprinkle evenly with goat cheese. Season with the oregano, basil, salt and garlic powder. Take the end of one of the small triangles and bring it up over the ring of tomatoes and press into the puff pastry border. Repeat for all the other triangles. 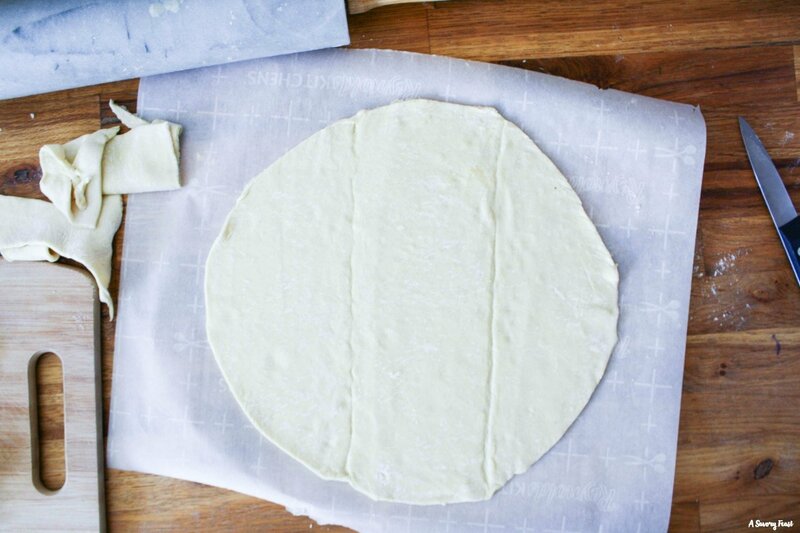 Transfer the parchment paper to a cookie sheet and bake for 15-20 minutes or until the puff pastry is browned. Cut into slices and serve immediately. This recipe can be difficult to visualize if you just read the instructions, so be sure to use the pictures above to help you with any part of the instructions that are confusing!